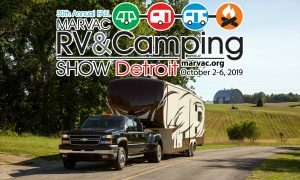 If your tires are under-inflated or have significant wear and you hit a pothole, your vehicle or RV could be at risk of wheel or suspension damage. 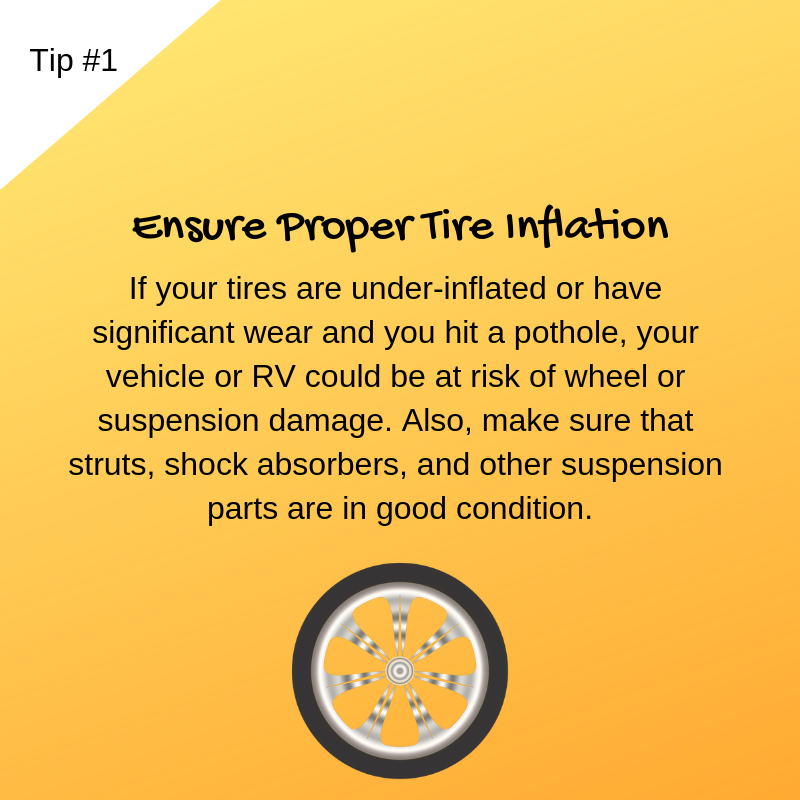 Also, make sure that struts, shock absorbers, and other suspension parts are in good condition. 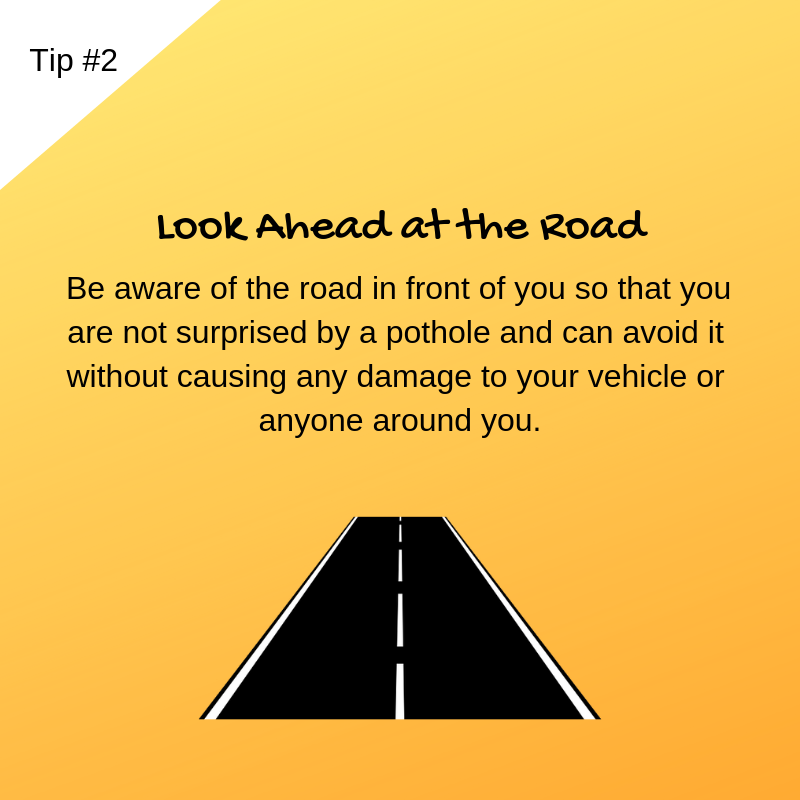 Be aware of the road in front of you so that you are not surprised by a pothole and can avoid it without causing any damage to your vehicle or anyone around you. 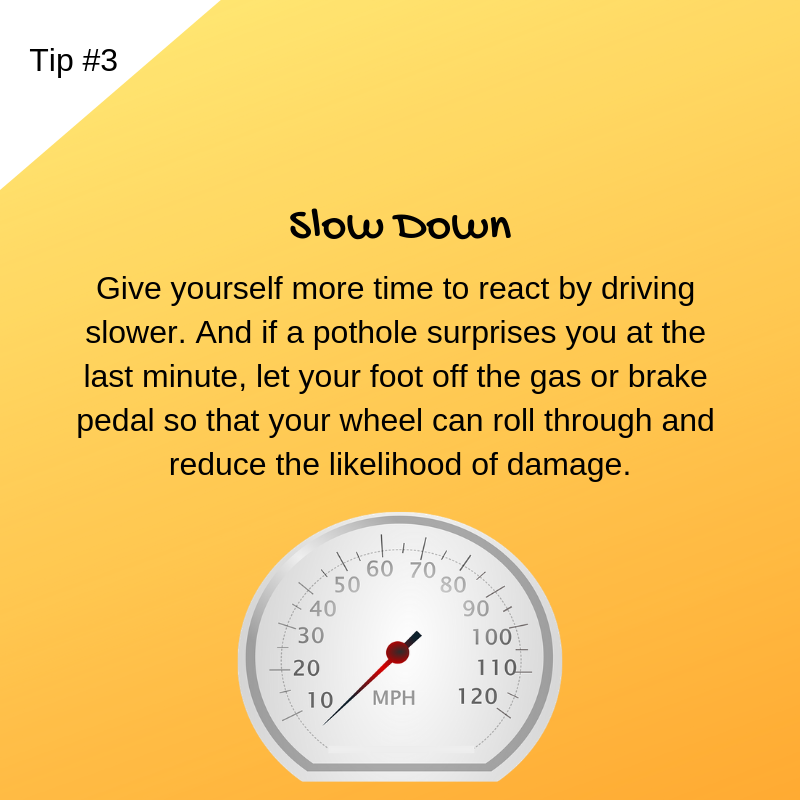 Give yourself more time to react by driving slower. 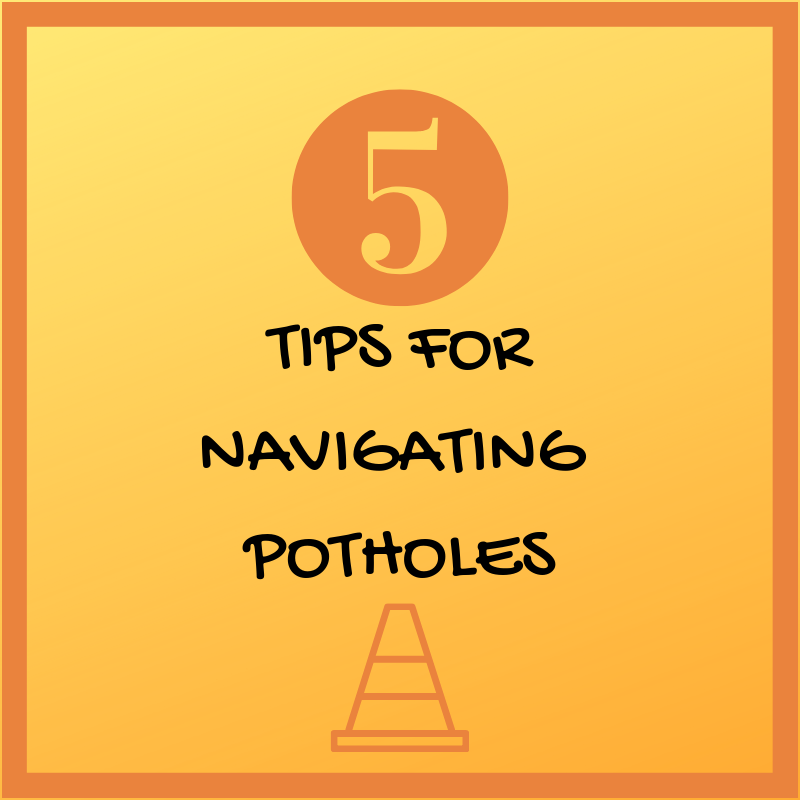 And if a pothole surprises you at the last minute, let your foot off the gas or brake pedal so that your wheel can roll through and reduce the likelihood of damage. 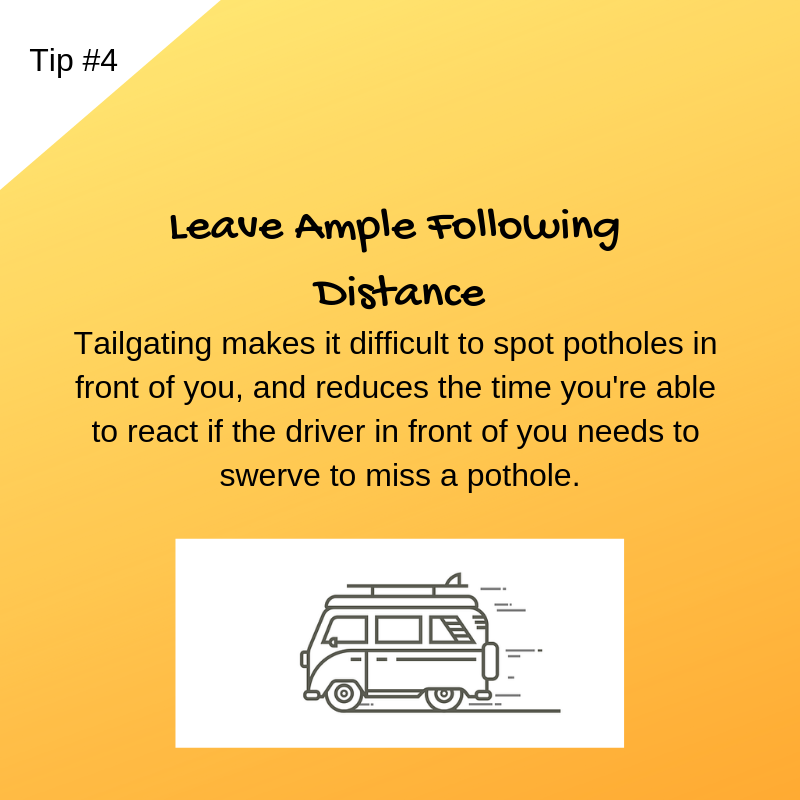 Tailgating makes it difficult to spot potholes in front of you, and reduces the time you’re able to react if the driver in front of you needs to swerve to miss a pothole. 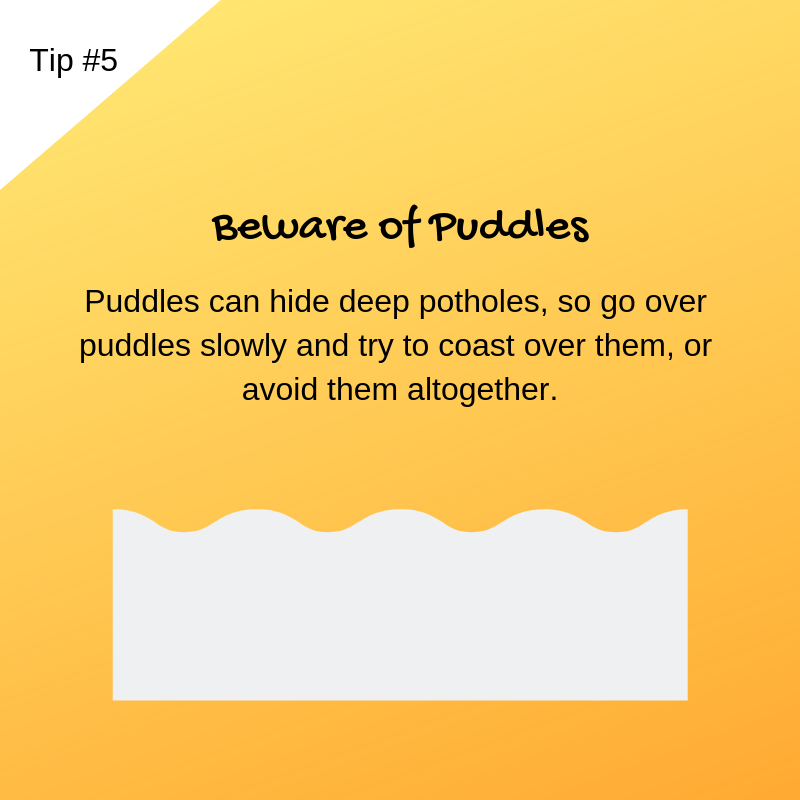 Puddles can hide deep potholes, so go over puddles slowly and try to coast over them, or avoid them altogether. 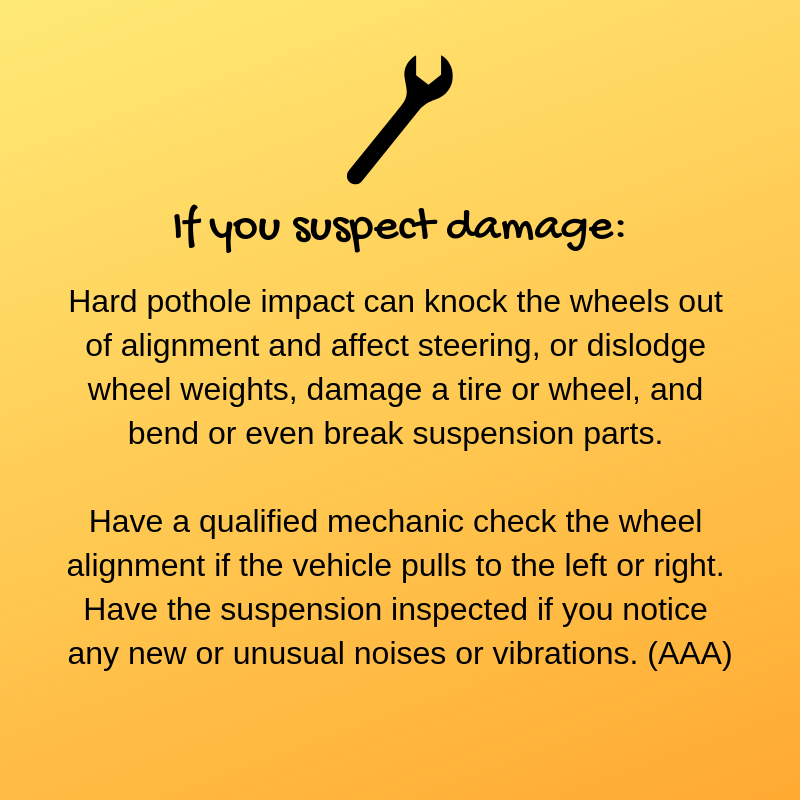 Have a qualified mechanic check the wheel alignment if the vehicle pulls to the left or right. 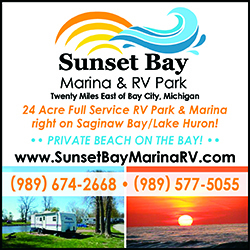 Have the suspension inspected if you notice any new or unusual noises or vibrations.